Also, a nice way to ice down your bathtub gin. An ice maker on the fridge? 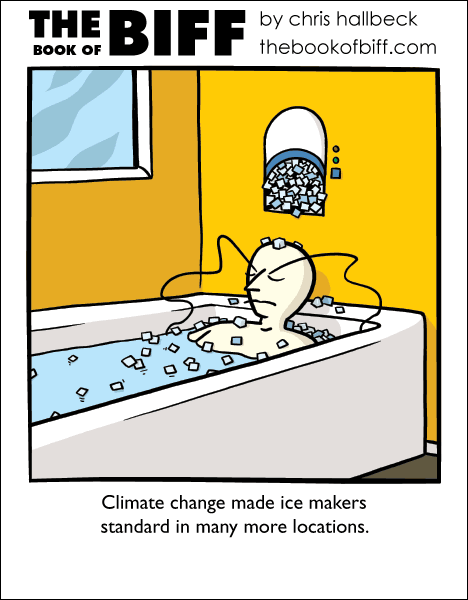 We don’t even have ice makers on our fridges where I live… An ice maker by the bathtub seems like a nice idea though! Those little ice trays would be a help, but there’s no room in the freezer. Is it me or are biifs eyes slowly becoming more disconected from his eyebrows as of late?